Today for the first time since her coronation, Queen Elizabeth and Prince Philip did not lay the wreath; instead they watched the ceremony from balcony. In past she missed the moment only due to pregnancy and overseas tour on a handful occasions. 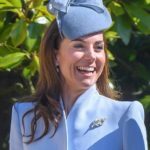 They were joined the Duchess of Cornwall, Princess Royal Anne, Sir Timothy Lawrence, Duchess of Cambridge and Countess of Wessex at the balcony of Whitehall. 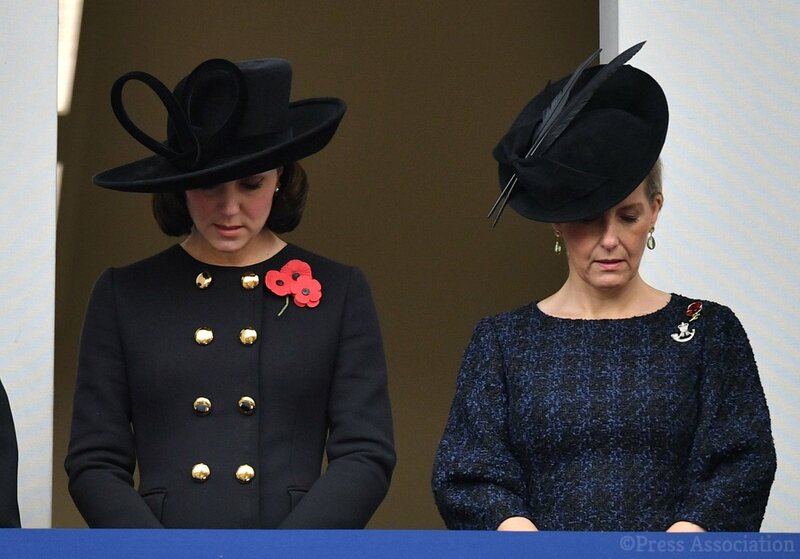 On behalf of Her Majesty, Prince of Wales Charles laid the wreath at Cenotaph and paid tribute followed by Prince William and Prince Harry. 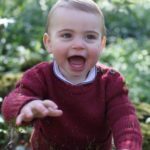 Asking Prince Charles to lead the nation is seen as the significant change in the royal family. Buckingham Palace remarked, “The decision reflected Her Majesty’s’ wish to be next to Prince Philip on this poignant day.” Prince Philip’s wreath was laid by his equerry. Prince Charles laying the first wreath at Cenotaph for the nation on behalf of Her Majesty. At the eleventh hour, the nation observed the two minutes silence to remember the fallen. The silence represent the armistice was signed on the eleventh hour of the eleventh day of the eleventh month in 1918 to end the World War I. On Horse Guards Parade the King’s Troop Royal Horse Artillery fire their First World War guns to mark the start of the silence, and a Corps of Army Music bugler from the Household Division marks its end at precisely the same time that the guns fire again, 120 seconds later. 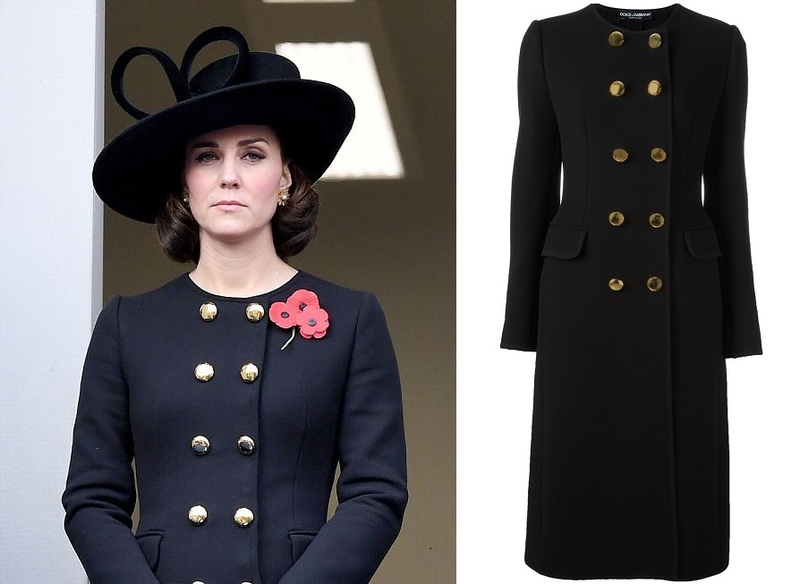 For the solemn occasion that was her 7th Duchess of Cambridge chose a black crossover button coat from Dolce & Gabbana. 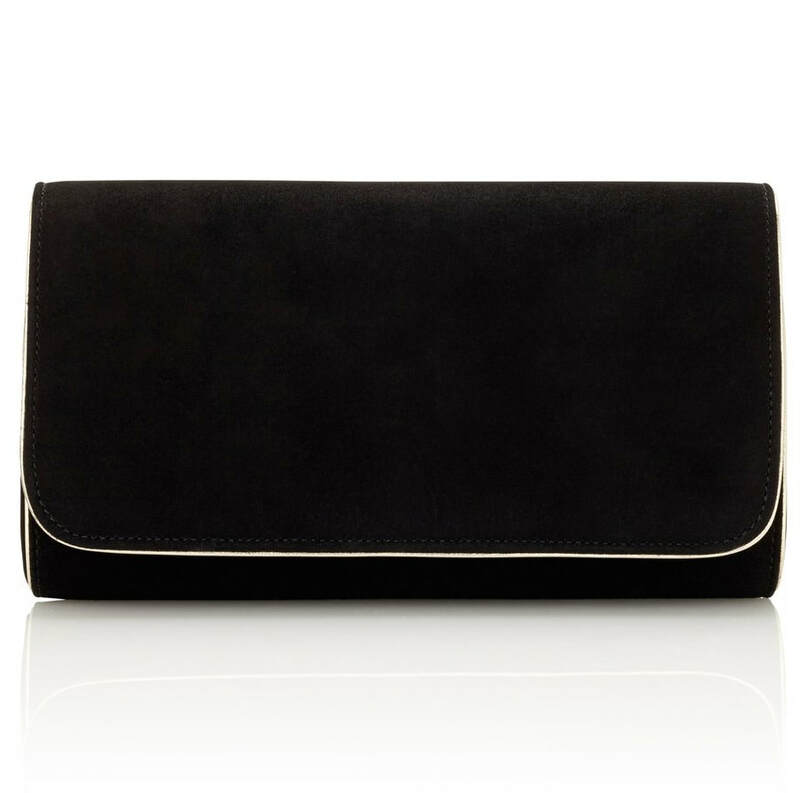 Thanks to PerthsFashion for Id. 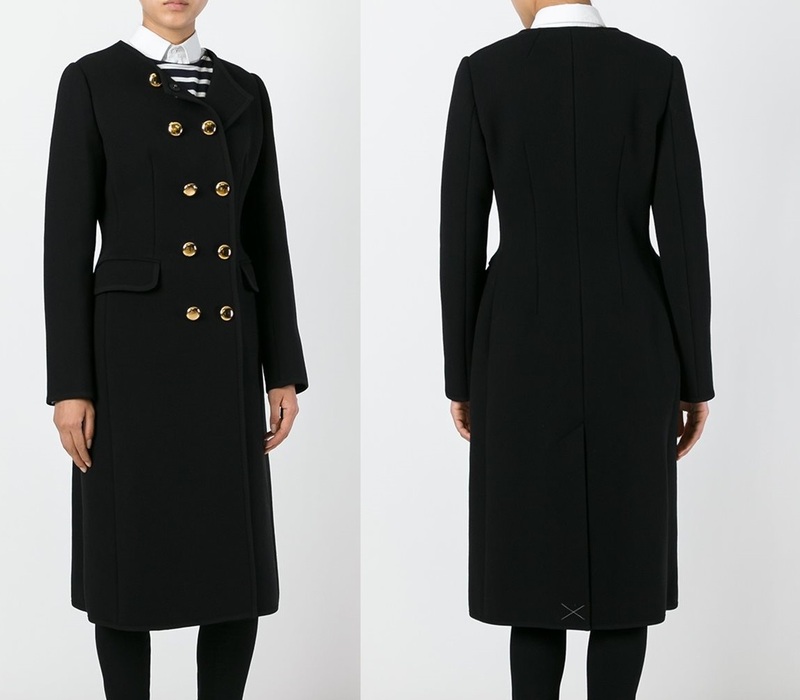 The Coat is described as,“Dolce & Gabbana black wool and silk-blend double breasted button-down coat with a collarless design, round neckline, buttonhole on the front, front flap pockets, long sleeves, pleated waist, mid-calf length and straight hem.” It is no longer available. 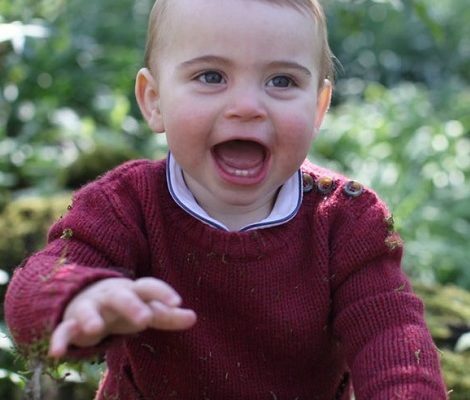 A closer look at the button detailing on the coat. 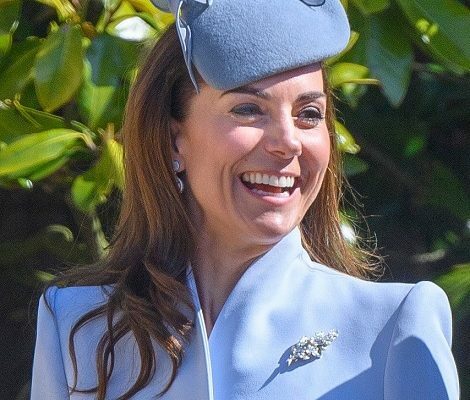 Duchess paired her outfit with wide brimmed black Philip Treacy hat. 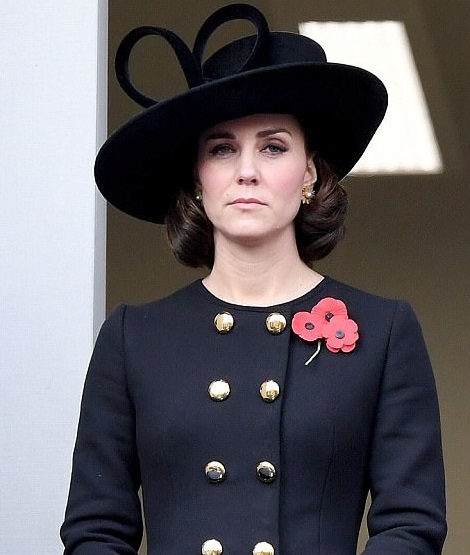 On the lapel of her coat, Duchess had three poppies. 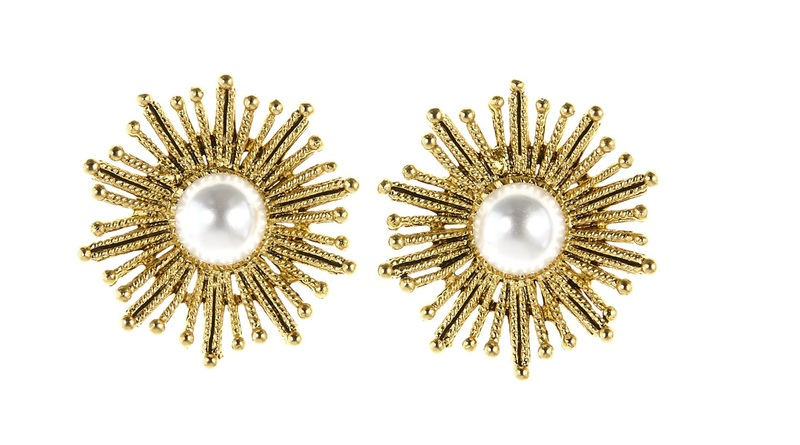 Kate choosing minimum jewelry wore Oscar de la Renta Pearl Sun Star Button earrings that are available for $175 at Oscar de la Renta and at Orchard Mile. 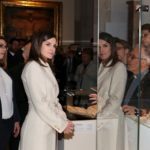 Duchess was carrying Emmy London ‘Natasha’ Jet & Gold clutch.